Ben is a manager in AJK’s Tax and Client Accounting Department. He has over ten years of experience in taxation, accounting, and business consulting. Ben is also a QuickBooks Certified ProAdvisor. Ben graduated from Valdosta State University in 2002 with a BBA in Accounting and was licensed by the state of Georgia as a Certified Public Accountant in 2009. He has worked with AJK since 2006. 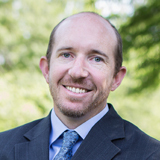 Prior to that, Ben worked with two other CPA firms while living in Augusta and Valdosta. He is a member of the AICPA, GSCPA, Kiwanis Club of Columbus (board member and Social Committee Chair), Greater Columbus Georgia Chamber of Commerce, Country Club of Columbus, and attends Christ the King Church in Pine Mountain, Georgia. Ben’s focus is on services for small to medium sized business. Ben’s goals as a CPA and Business Advisor are to provide each of his clients with the very best services and help them identify and achieve their goals. He enjoys working with clients and thrives on exceeding their expectations. Ben and his wife Jennifer have two children, William and Julianne, and two dogs, Conner and Belle. Outside of work and family, his first passion golf. Ben plays in numerous tournaments each year, including the annual Father/Son Tournament in Myrtle Beach, South Carolina. He also enjoys traveling, spending time with family and friends, and anything else outdoors.